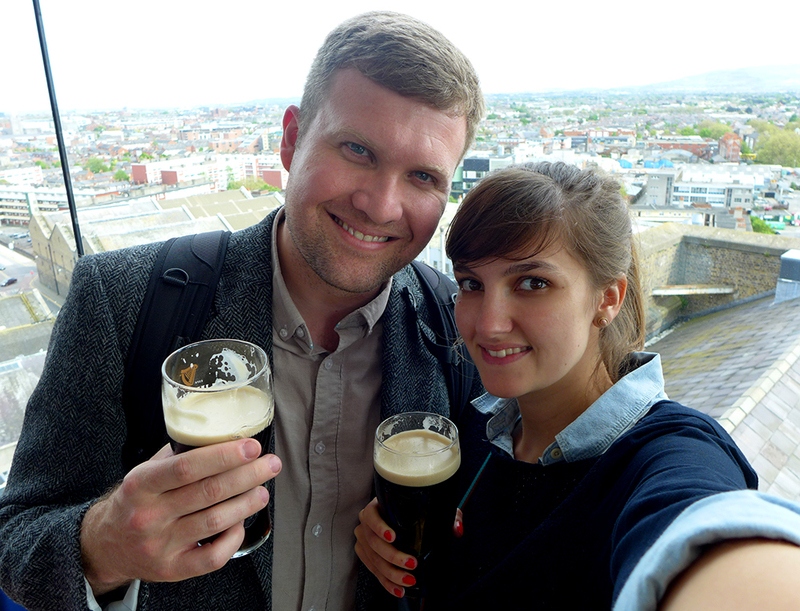 After castles, cathedrals and ceilidhs on Scotland, we hopped on a plane to Ireland – Ryan’s ‘ancestral homeland’, as he kept reminding me. 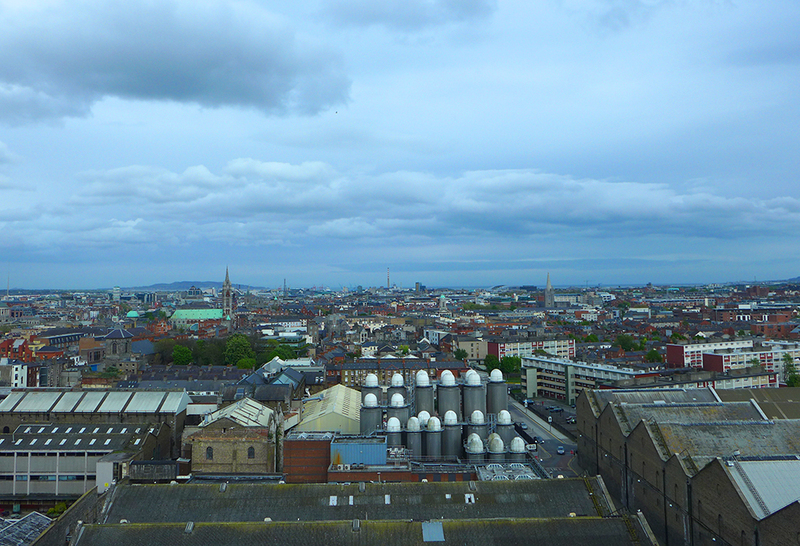 We only had a day in Dublin so, like good tourists, we made a beeline for the Guinness Storehouse. 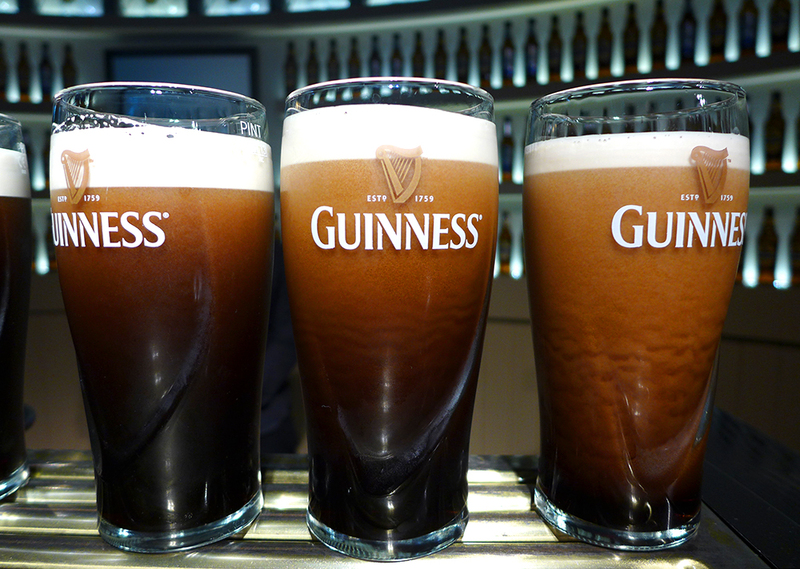 We all know I like a bevvy or five, but Guinness? It always seemed so heavy to me, as if I’d need a knife and fork to tackle it. 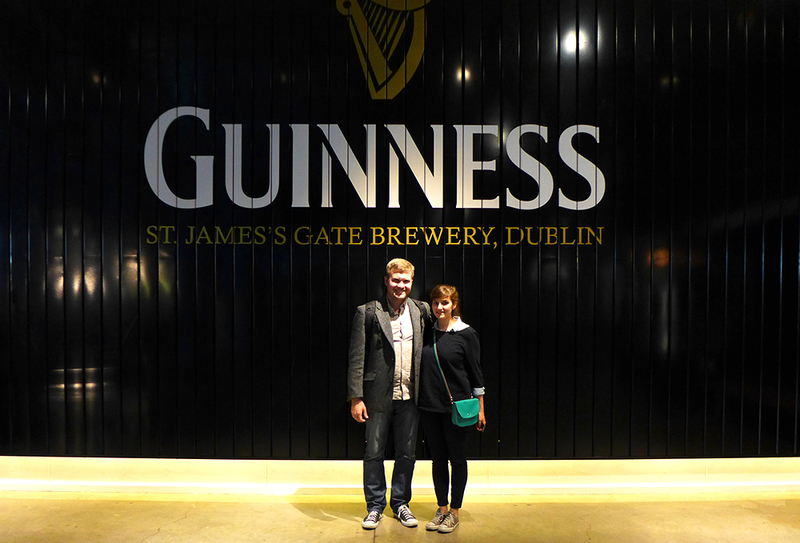 But after the Storehouse visit, where I was taught how to properly taste and smell it, I’m a convert. Ryan’s ancestors would be proud. 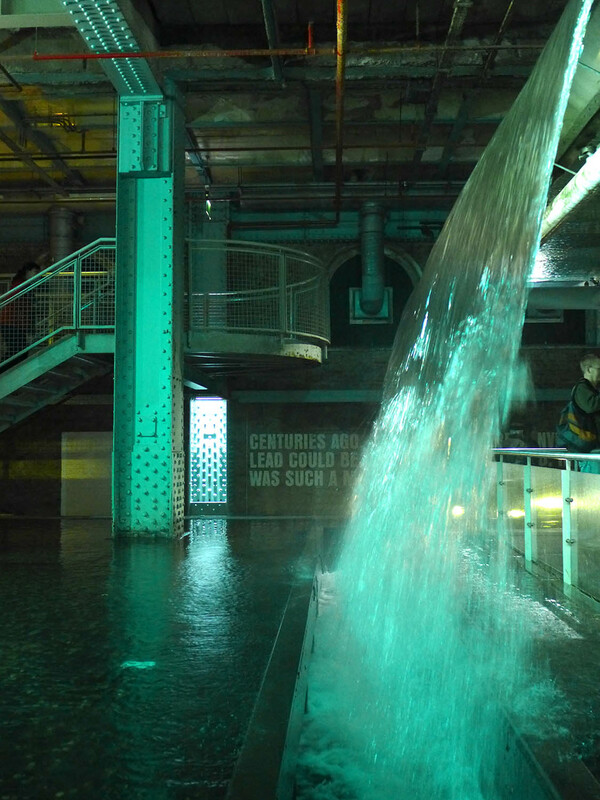 The museum section – which was concise and very visually appealing – walked us through the recipe (barley, hops, water and yeast) and the history of the drink, as well as its social and economic impact on the city. 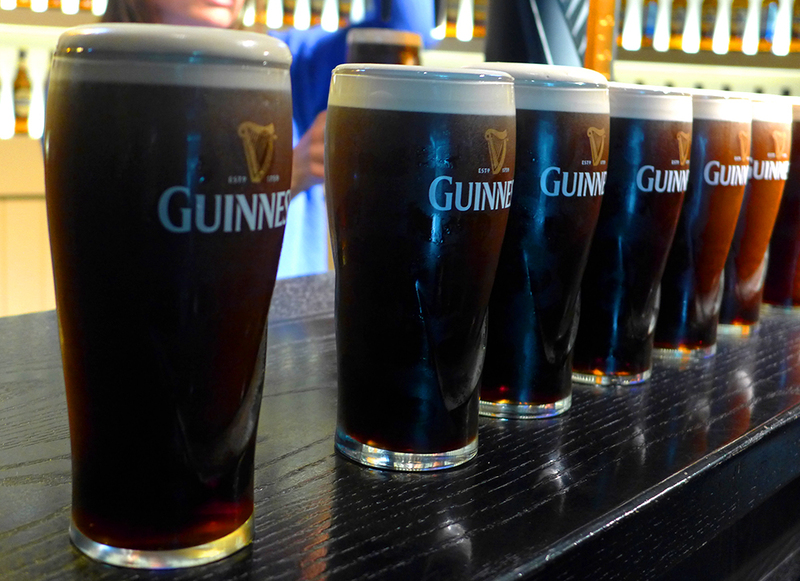 But best of all were the smelling rooms – where we were surrounded by clouds of the tastes associated with Guinness – and a darker room (so we could concentrate on our senses) where we had our first slurp of the drink. We were told to look at the horizon (or imagine it), lift our elbows (so we would get a good pour into our mouths, cutting through the head), take it in our mouths, move it around and then breathe out. It was so much lighter and fresher than I’d imagined. 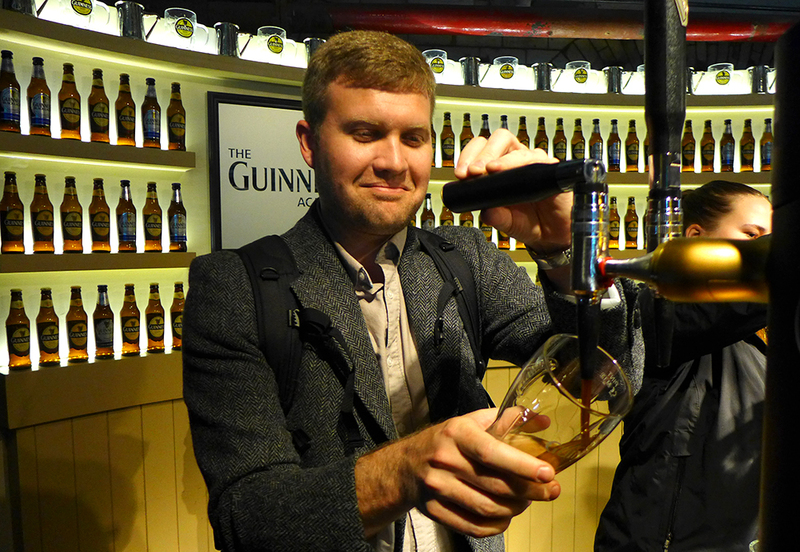 But this was only a mini taste – I was ready for a full pint of the stuff. 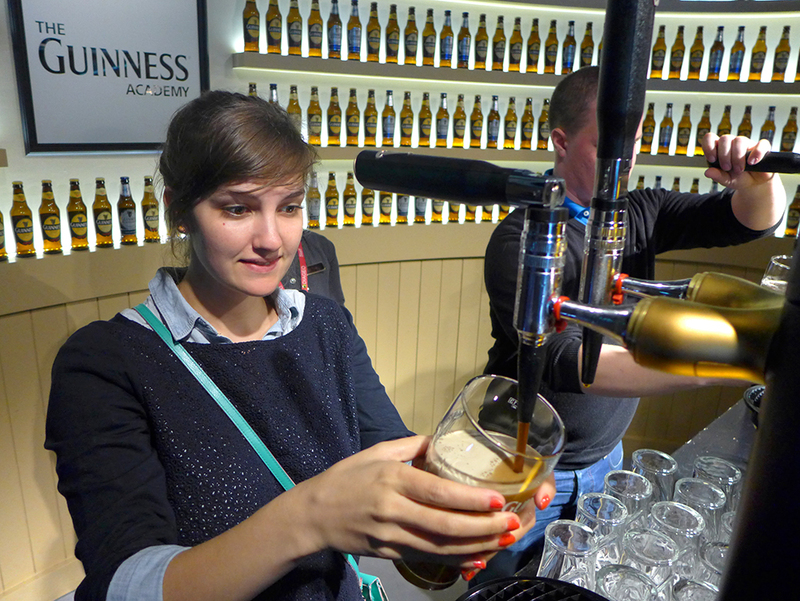 On another floor was the Guinness Academy, where we were taught how to pour a perfect pint. One-by-one, we gave it a go, tilting the glass 45 degrees, making sure the steady stream hit the golden harp on the glass until it was three-quarters full. 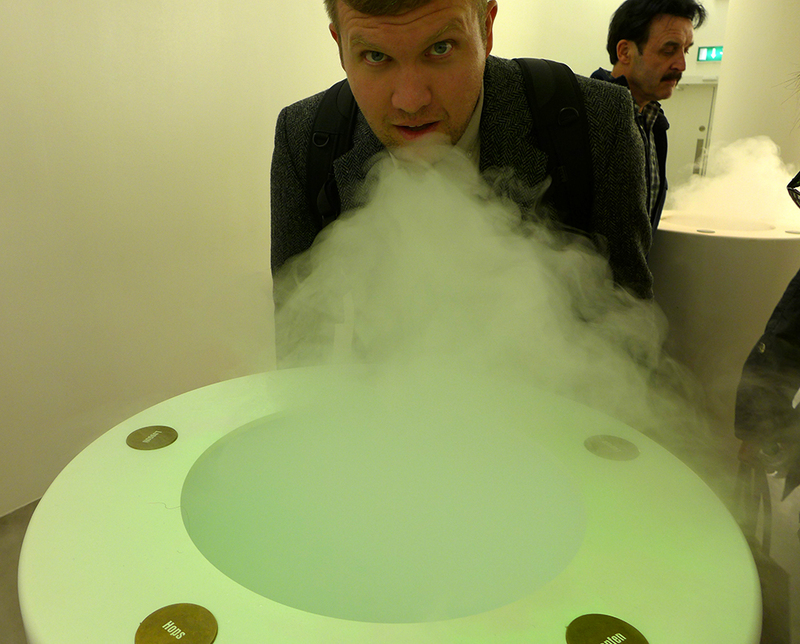 The experience wasn’t as stressful as my face suggests, honest. 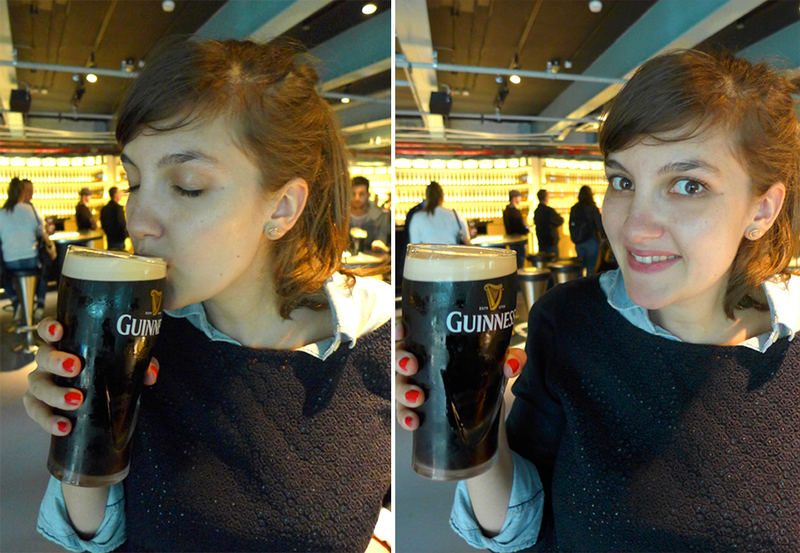 Minutes later, we topped them up enough so that the head just bobbed a little past the lip of the glass. 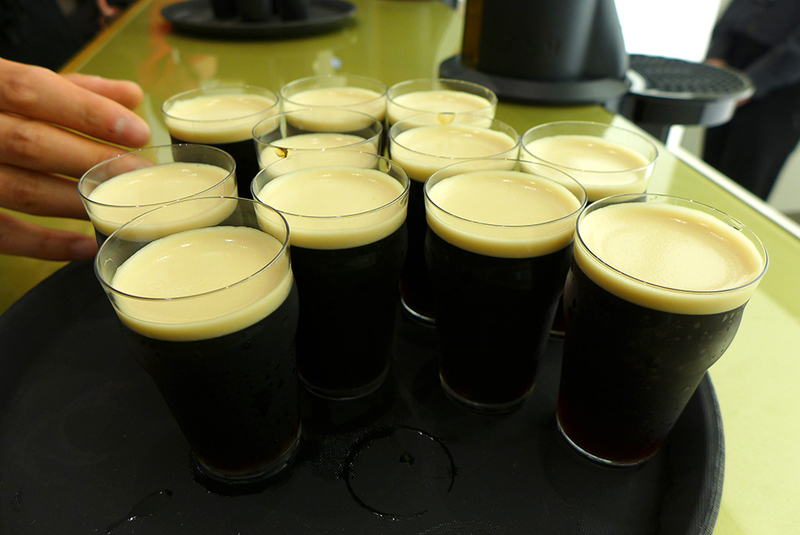 Then the best bit – the drinking! 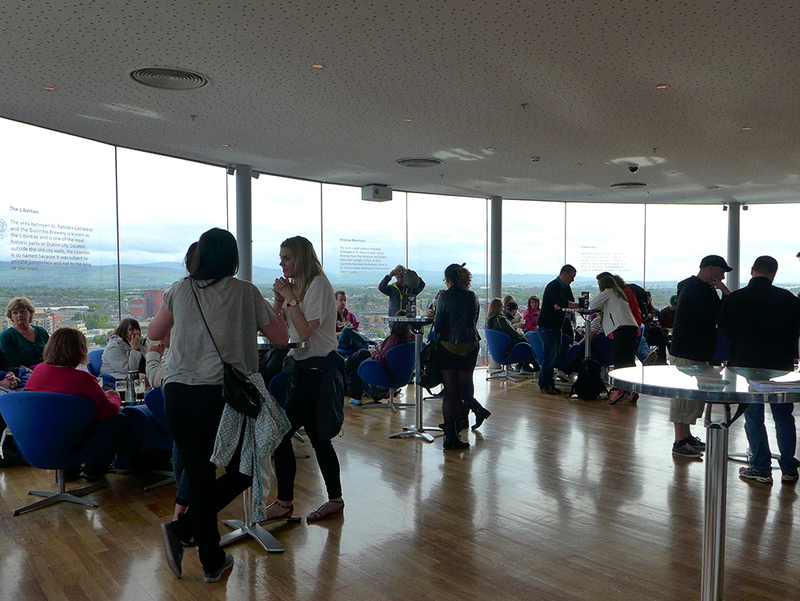 We took our delicious pints up to the top floor – a large open bar with views across the cloudy city. 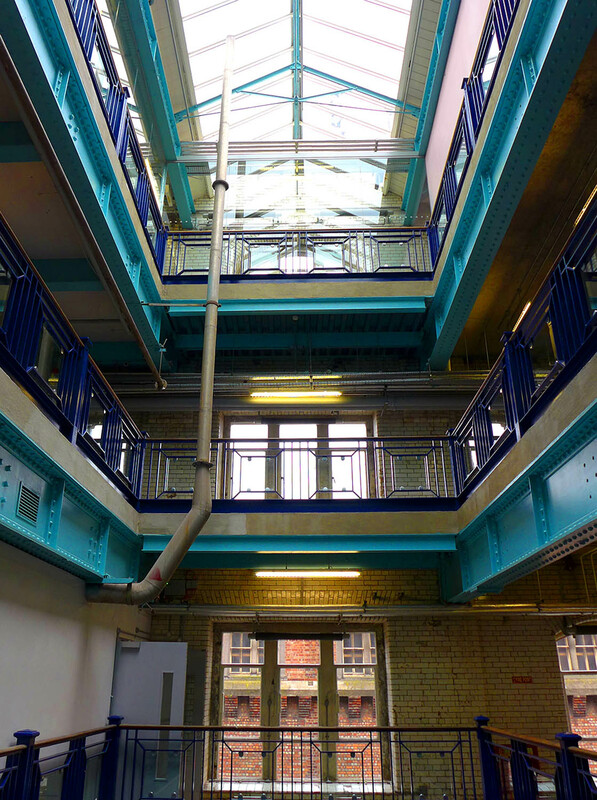 I had feared that heading to the Storehouse might be a bit gimmicky, but the museum is so clear and informative, and I honestly feel like I can appreciate the taste so much more now. That said, I still couldn’t get all the way through one pint (where was my knife and fork? 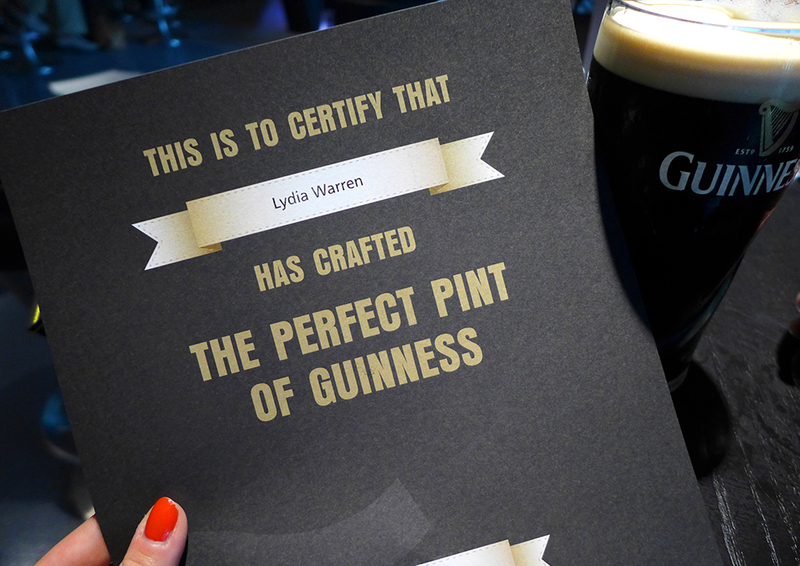 ), so perhaps it’s a drink I’ll only stick to in Dublin.